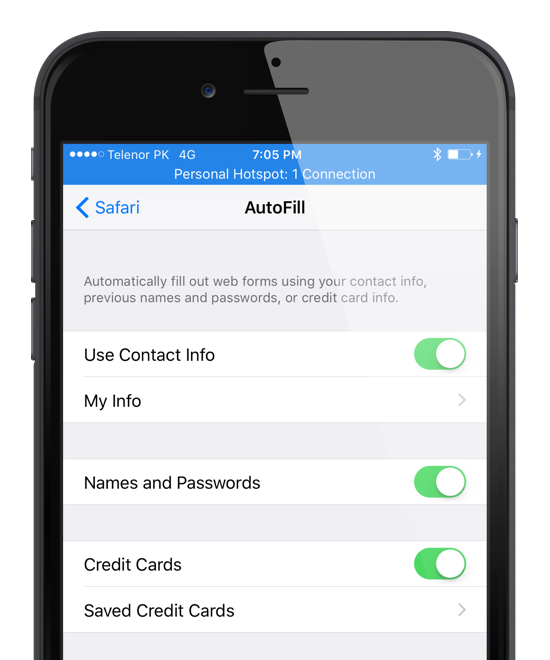 Is the AutoFill feature in iOS bothering you whenever you browse a website via Safari? Here’s how you can disable it on your iPhone or iPad. The luxury of not having to enter your password over and over again is extremely undeniable. And to top things off, when your personal data is available across devices for quick access is just icing on the cake. But, not everyone feels that way, and AutoFill jumping into action to fill in your name and contact details can prove rather annoying for a lot of people. So, if you wish to disable the feature completely on your iPhone or iPad, then here’s what you need to do. 1. Launch the Settings app on your iOS device. 2. Scroll down a little then tap on Safari. 4. Turn off all the necessary toggle switches here which you don’t want to spring into action whenever you are browsing a website. If you are bothered by your credit card information filling up automatically, then move the Credit Cards toggle switch to the OFF position. Same for everything else. I would highly recommend being a little considerate before turning everything off. Because this feature is extremely useful in a lot of cases, saving you the trouble of entering your username, password or contact details in a lot of Web forms. It’s even more handy if you are shopping online and reach a phase where you are required to enter your credit card details. However, disabling AutoFill might actually make your handset a little secure too, since no one can snoop in and make a quick purchase using your credit card credentials under your nose. At the end of the day, whether you choose to turn the feature off or leave it on is entirely your call. Just make sure that you have Touch ID and a secure passcode put in place so that no one ends up snooping through your data in any way possible. If you found this tutorial useful, then make sure you leave a comment below.